Rabbits are social animals and live well in groups, especially if they are raised together as youngsters. The facility that houses these rabbits receives animals that were raised in pairs, so they are already socialized upon arrival. 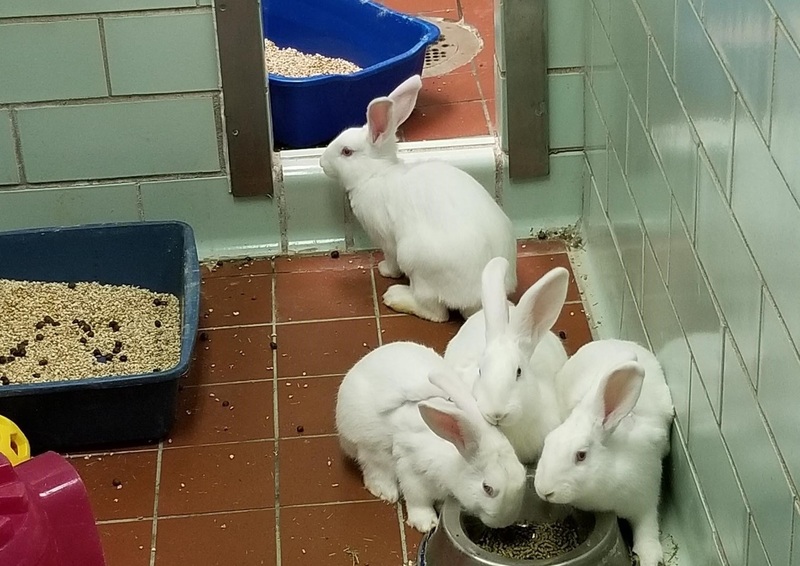 Even though these rabbits are provided with several bowls of food, they seem to enjoy sharing the same bowl. Animal technicians who care for the animals say they often see the rabbits grooming, exploring, and playing with each other.